Purchased in May 2006 by the Alamo Group of Seguin, Texas, Vacall machines are designed, manufactured, sold and supported by Gradall Industries, Inc.
Gradall has earned a worldwide reputation for building equipment with superior strength, versatility and quality. 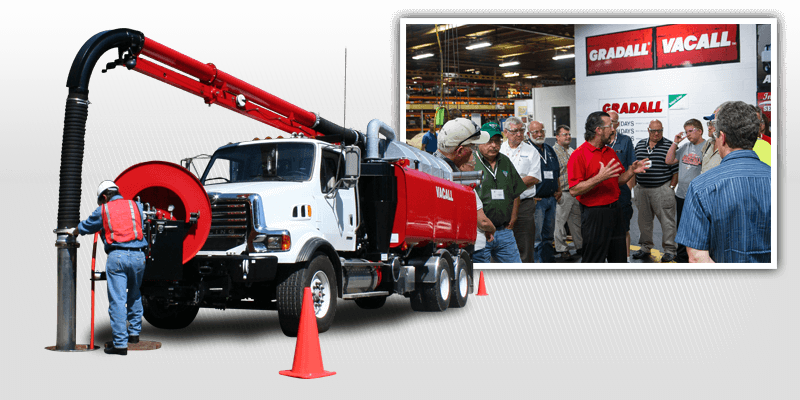 Since the Vacall acquisition, Gradall’s influence has served to strengthen the product line. 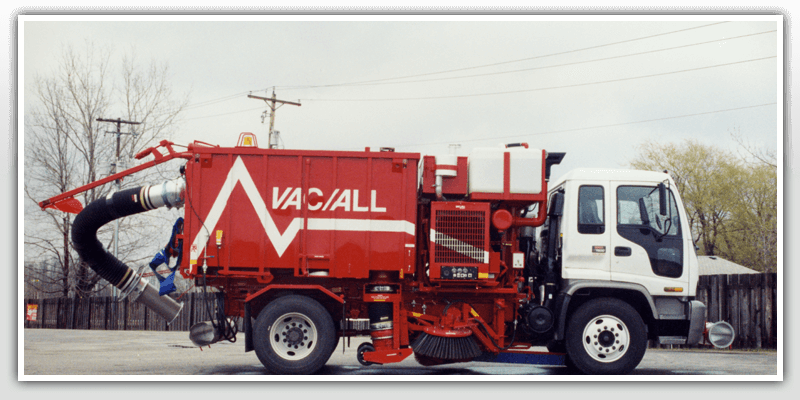 Vacall products are introduced in 1951 as a high-performance solution to clear and maintain sewer lines and perform many other vacuum and jetting tasks that routinely challenge governments and contractors. Vacall products are purchased by the Alamo Group of Seguin, Texas. 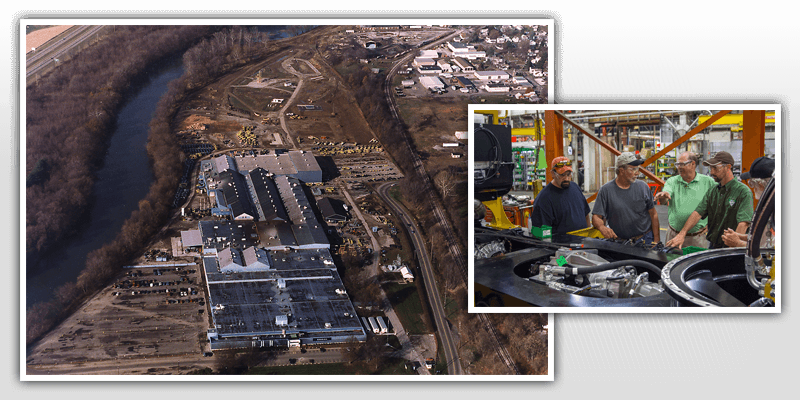 Alamo assigns the product group to Gradall Industries, Inc. in New Philadelphia, Ohio. 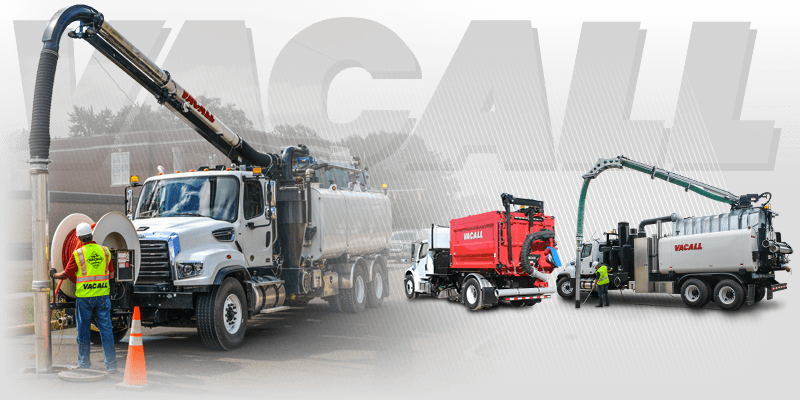 Gradall’s progressive and efficient manufacturing operation, and proven success in managing a quality network of customer-focused equipment distributors, make Vacall machines a perfect fit for Gradall. Gradall launches a program to instill greater quality and productivity into Vacall machines, while also establishing a customer-friendly parts and service program. 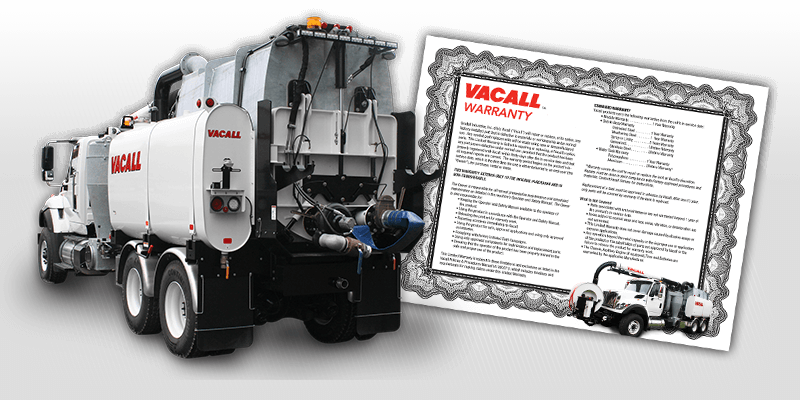 Vacall announces lifetime warranties on specific debris bodies and water tanks on AllJetVac, AllExcavate AllSweep and AllCatch models. The result can effectively extend the working life of the machines. 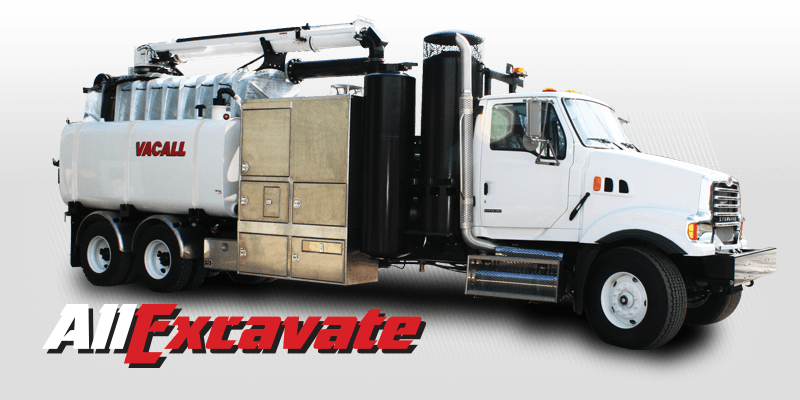 A new AllExcavate hydro excavator with an optional flushing system is introduced at ConExpo in Las Vegas. R Series AllJetVac combination sewer cleaners are unveiled, featuring a rear-mounted hose reel and boom for operators who prefer to work away from the machine’s engine. AllSmartFlow CAN Bus intelligent control system is introduced as a standard feature on all AllJetVac machines and an option on AllExcavate and AllSweep models. This system allows the operator to use an automatic water pressure compensator to deliver precise water flow and jetting action. 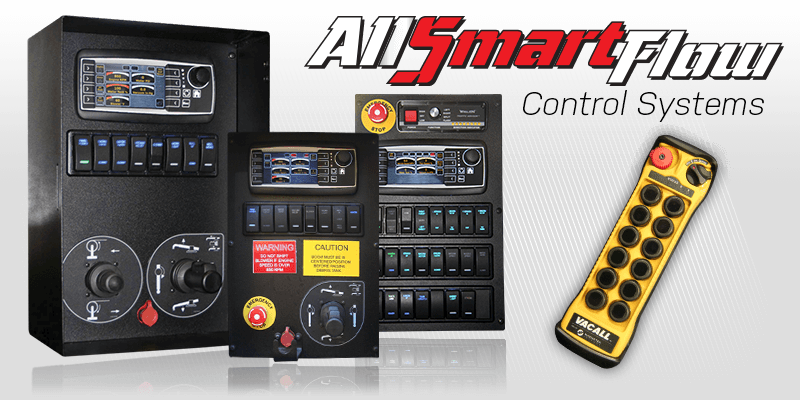 The AllSmartFlow standard smart controls were announced as standard equipment – a distinct advantage over other brands that sell smart controls as an option. 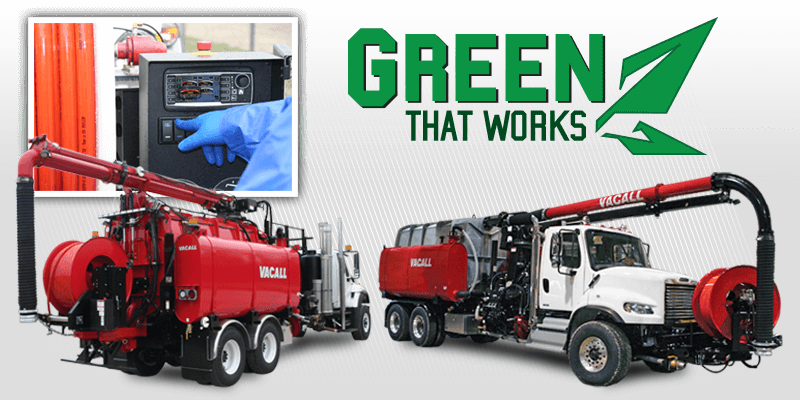 AllSmartFlow is a critical component of the “Green That Works” collection of advantages that spans the Vacall product collection, delivering the benefits of reduced fuel consumption, cutting service downtime and costs, slashing harmful emissions, building operating efficiencies and creating sustainability benefits by extending the working life of Vacall machines. Among the other advantages are single-engine operation and lifetime warranties on some critical components. 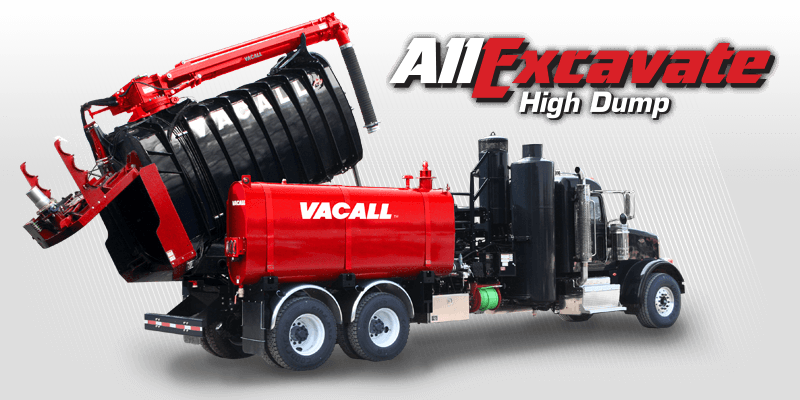 An innovative high dump option is introduced on Vacall AllExcavate hydro excavator models. The unique design allows the operator to raise the debris tank as much as 75 inches above ground level and shifts the tank horizontally 21 inches beyond the rear bumper. This repositioning capability enables the AllExcavate to dump material into roll-off or other containers on the job site, improving productivity by eliminating the need to drive to off-site dumping locations. The Recycler water recycling option for AllJetVac combination sewer cleaners is introduced. 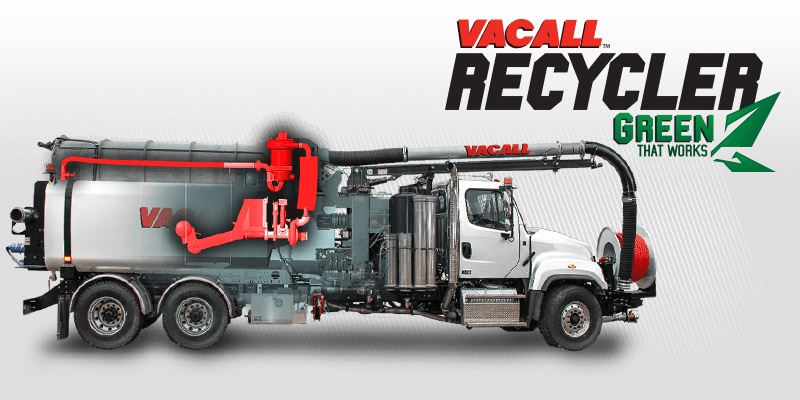 Recycling water vacuumed from the sewer lines, the Recycler features a five-step filtering process before reusing the water for jetting. 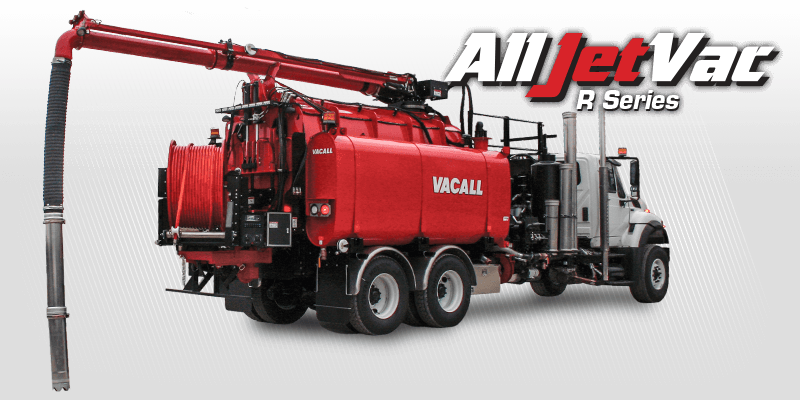 As a result, one AllJetVac sewer cleaner can handle the work of three jet-vac sewer cleaners that do not have the Recycler option by eliminating time spent travelling for refills while reducing processed water consumption by millions of gallons each year. 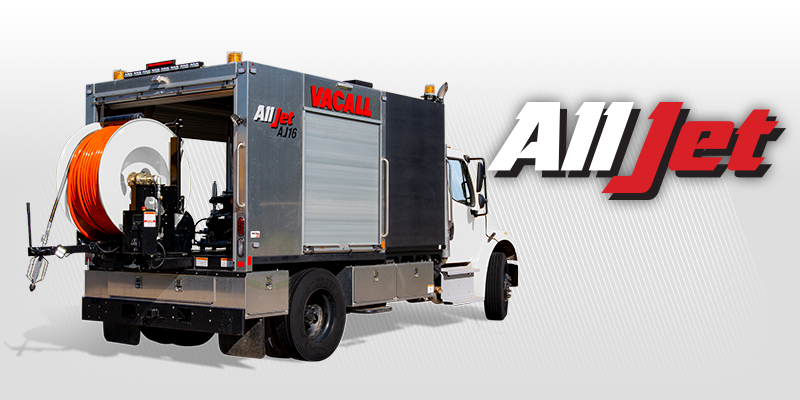 AllJet sewer cleaning machines are introduced as cost-efficient, highly reliable solutions for municipalities with conservative budgets that still must be prepared to act quickly to address line blockages.